My enthusiasm to get hold of a copy of this book to read, resulted in the nice people at Random House sending out an early copy. As a result I feel incredibly privileged (and nervous) to be one of the first to write a review for this book. I am glad to say that the anticipation and wait has engaged me in a worthwhile journey. I will be honest and state that I am a very big fan of Steve Augarde's work, after devouring the 'Various' Trilogy. In fact when they came to their sad end, I was not sure that Steve would and could write books that would equal, never mind better them. But Steve has risen to and conquered the challenge; I now embark on my mission to review his exciting and new masterpiece. Surviving in a world, where most of the land is underwater, pockets of people endeavour to keep themselves alive. Trading becomes common place, everything is traded - even human life. As Rae and Baz, two young boys (only related by association) are traded by their parents to the Eck brothers. Unfortunately the optimism of hope and a better life for their children are not upheld, but of course they aren't aware of this. Instead the brothers' ruthless and sometimes cringe worthy actions, as well as the cruelty embarked upon by Steiner and Hutchinson, enforcers of the Eck brothers and preacher John's rules, persistently taint the boys lives. However circumstances prevail (I don't want to give much away) and moral justice, of a kind, enables wrong-doing to be righted - cloak and dagger jargon to protect the ending of the story. The story has been imaginatively written, it is original and thought-provoking making it a gripping read. The constant developments within leaves the reader musing, as to whether the expected will actually happen. The abuse endured, both mental and physical, added to the heightened sense of tension and melodrama. One of my favourite aspects of the story involves the depiction of the character Preacher John and his twisted beliefs, which bring the book alive and cement the story. The ingenuity of Rae and Baz's plans never failed to intrigue, their 'back-to-nature' ideas were cleverly devised to produce an outstanding ending. A super book, one of the best books I've read this year. I loved every page and was left wanting more. Totally emotional and a truly captivating read. I give this book five out of five. I want to know, will there be another book? Steve Augarde was born in Birmingham, but spent most of his life in the West Country, working as an illustrator, paper-engineer, and semi-pro jazz musician. He has written and illustrated over 70 picture-books for younger children, and has produced the paper-engineering for many pop-up books, including those by other artists - as well as providing the artwork and music for two animated BBC television series. 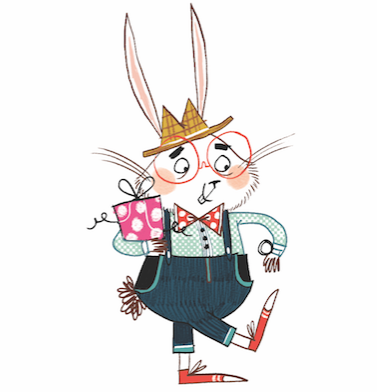 His first book for older children, THE VARIOUS, won a Silver Smarties Award in 2003. Mr Ripley, this is such a great review! 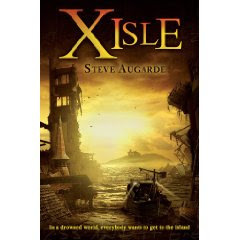 X Isle is wholly different to The Touchstone Trilogy, as you've discovered, and I've been feeling nervous about that fact. I'm now daring to hope that other readers and critics will also be willing to climb aboard the Cormorant and enjoy this departure. 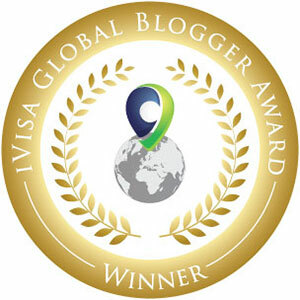 Thanks for the blog mention. I meant every word of the review; it made my month by getting a copy and reading such a great book! I will post a review up on some other media book sites for you in the next week or so. Did you get the cheaky hint in the review? Ha. Yes, I got the 'hint'. In fact it smacked me right between the eyes! I don't think it's a spoiler - although it's impossible for me to judge, having prior knowledge as it were. I would always avoid hanging an entire book on a 'twist in the tale'. Too often it's just a cheap trick that makes a fool of the reader. Surprises here and there are a different matter, and legitimate I think.